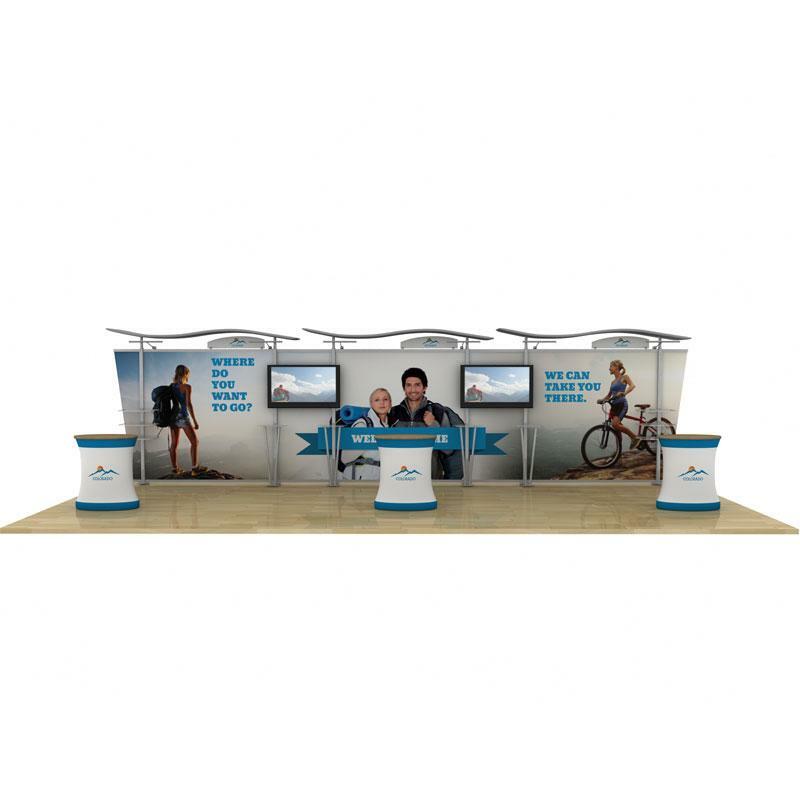 Choose from variety of 10×10 and 10×20 Hybrid trade show displays for your next show! These affordable modular display systems are lightweight and easy to set up and dismantle. Simplicity with beauty and quality construction are the hallmarks of this display. 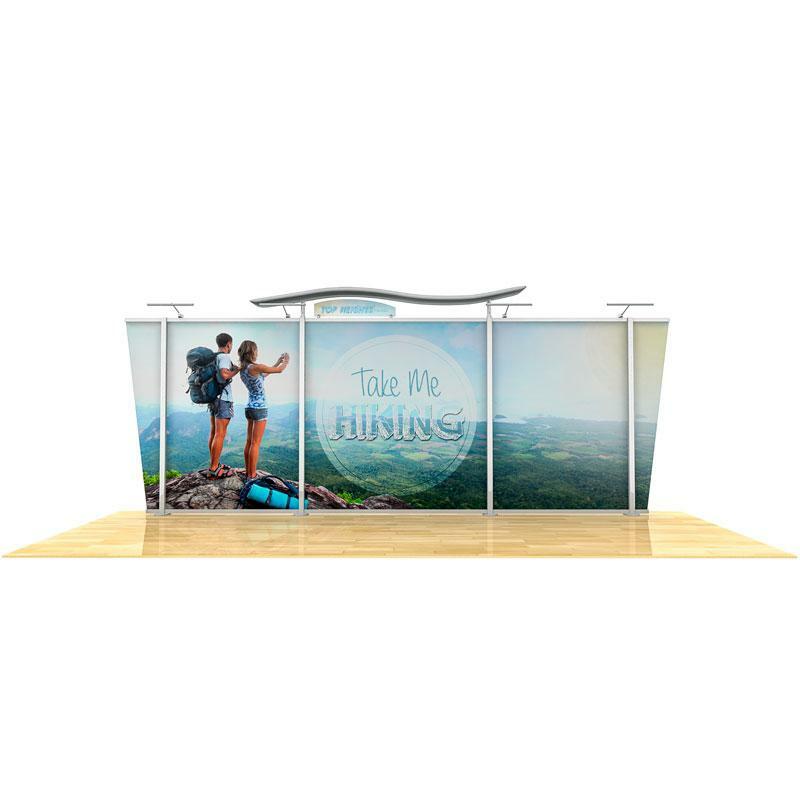 A wide variety of upgrades and optional furnishings are, of course, available with these hybrid display systems to make your custom unit as unique as your firm’s offering. 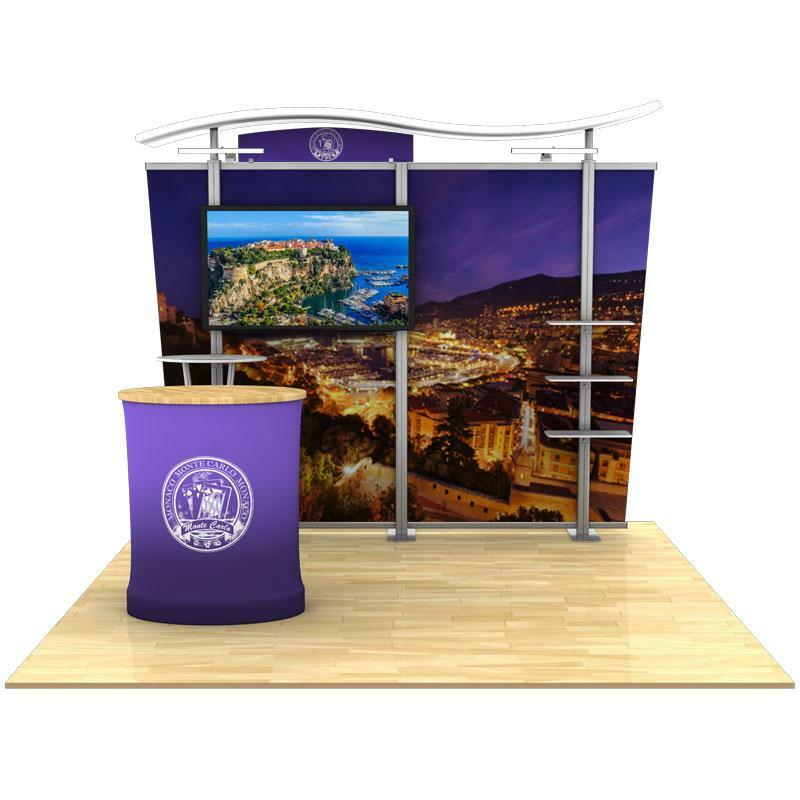 These backdrop systems with its unique wave-styled/arch-styled/straight-styled canopy is available. 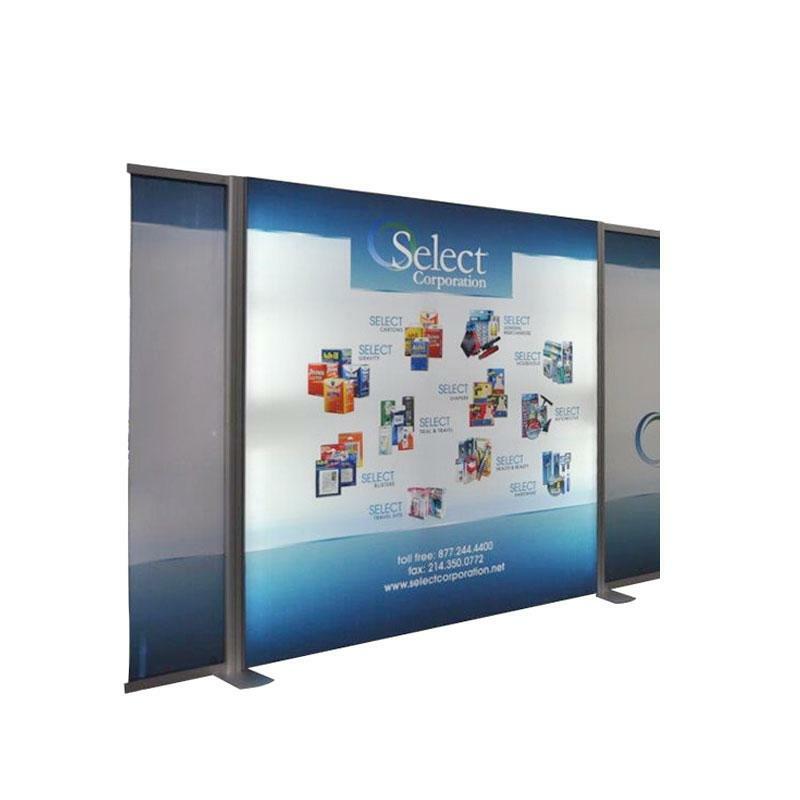 The standard Header and matching Wing units offer you high resolution dye-sub fabric. 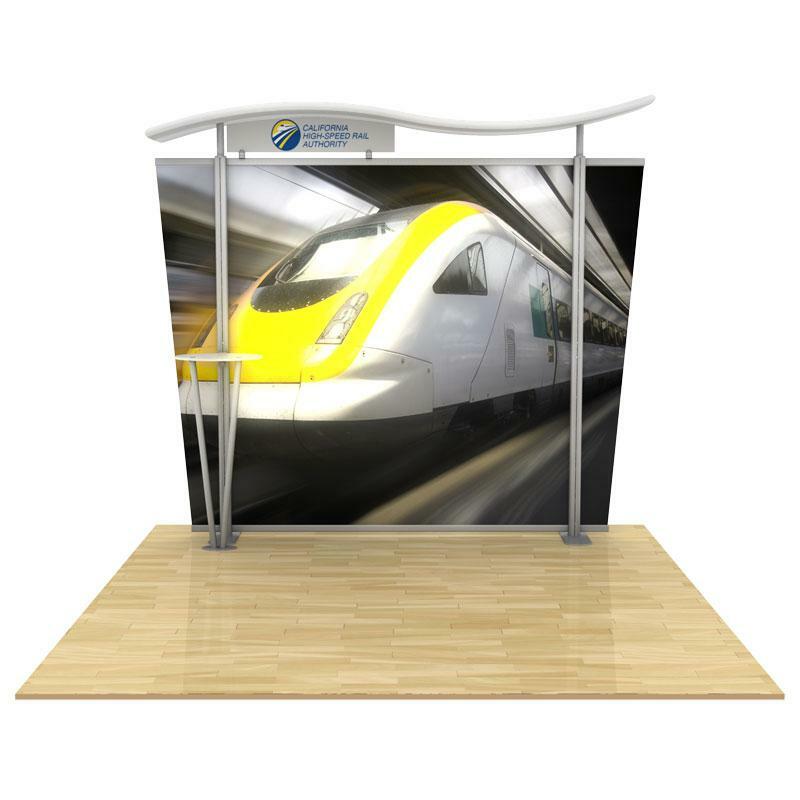 Most of these hybrid exhibits offer free-standing counters with high resolution fabric graphics and LED lights. These custom displays are available for rental in Vegas. Washington DC, Atlanta or anywhere in the US. 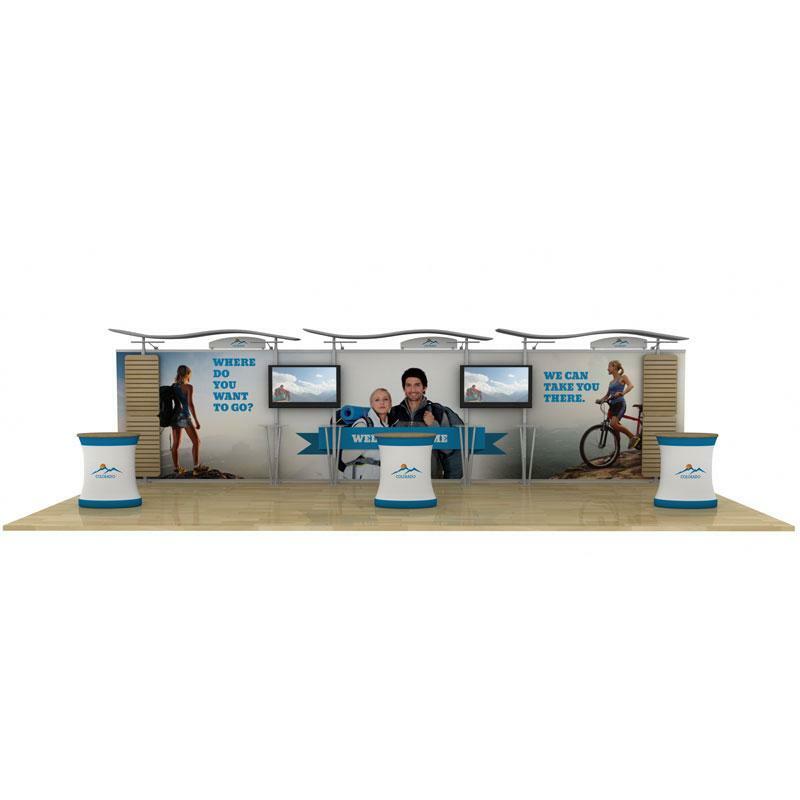 One or two people can assemble or dis-assemble these exhibition booth, allowing more time with your customers and clients. These portable exhibit system are shipped with Rotomolded, wheeled cases for easy transport and lockable storage. 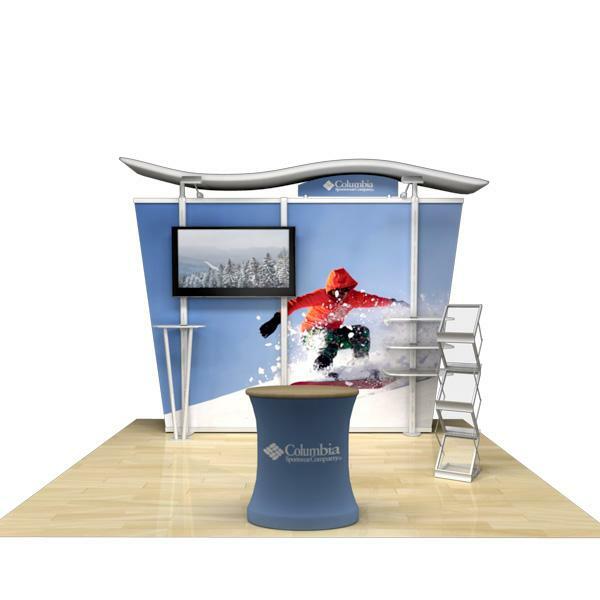 Hybrid trade show displays are lightweight. Stable. 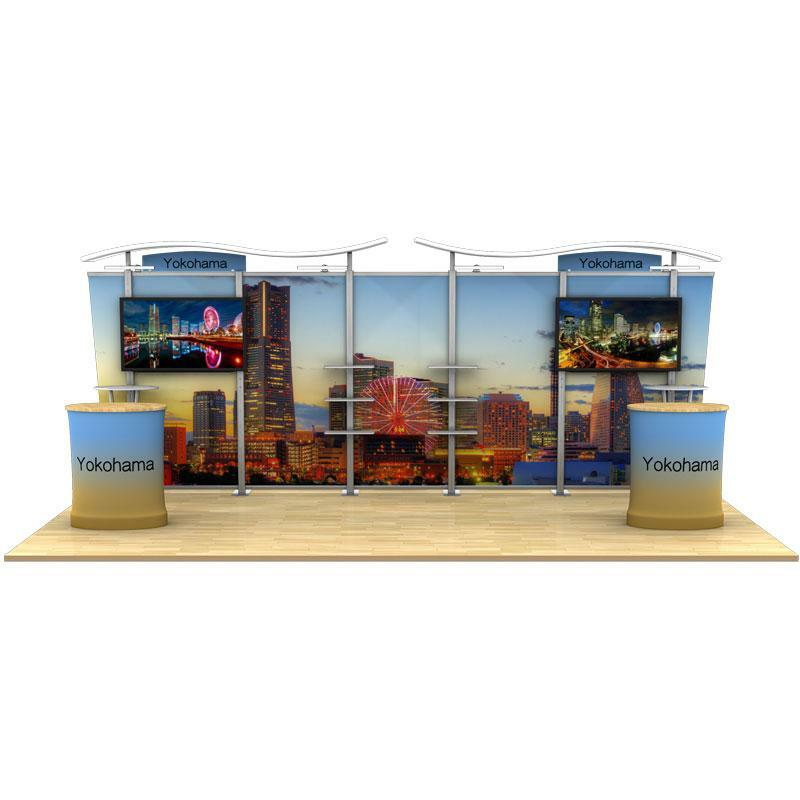 Quick set-up, maximum visual impact & Low price. 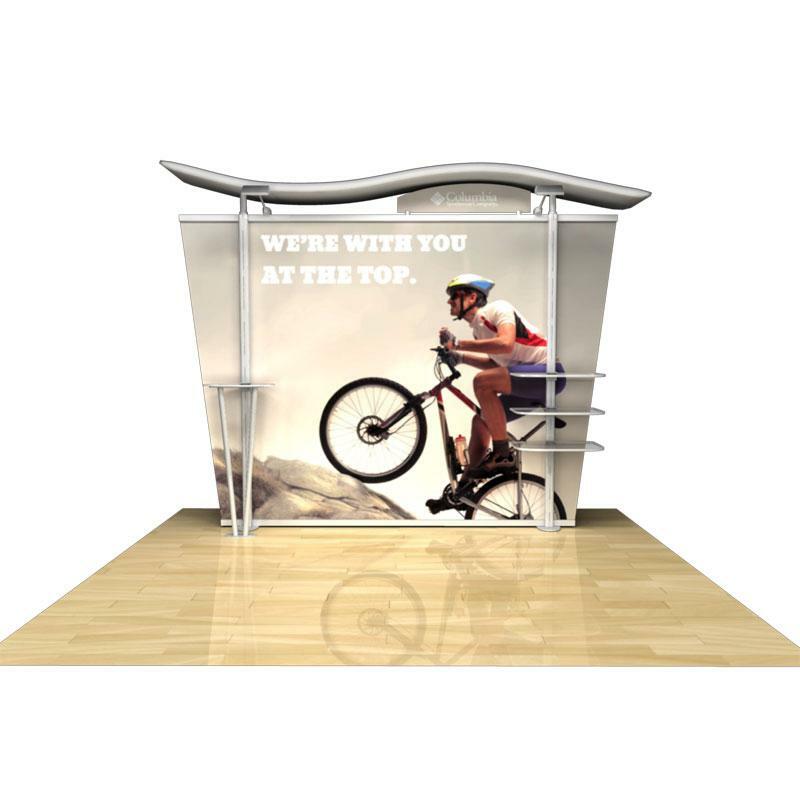 Hybrid displays defines a class of Exhibition System that are created with a combination of some of the custom exhibits used in the industry over the years such as aluminum extrusion and laminate, but combines them with newer components such as tension fabric. 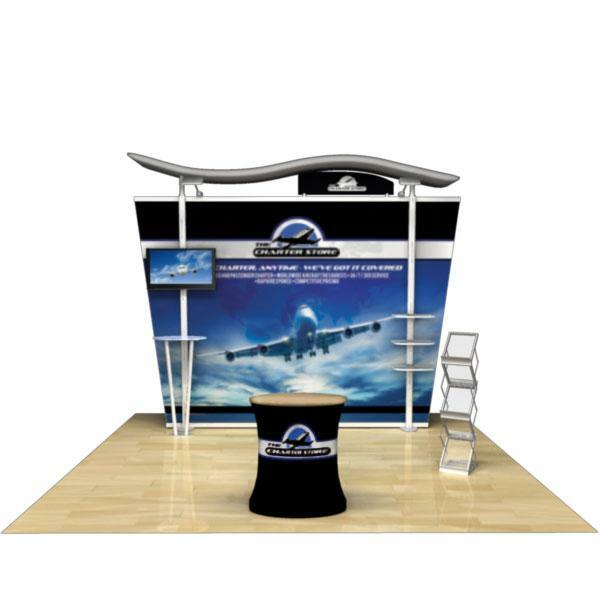 In recent years, tension fabric has been responsible for driving the creativity in design of Hybrid exhibits. 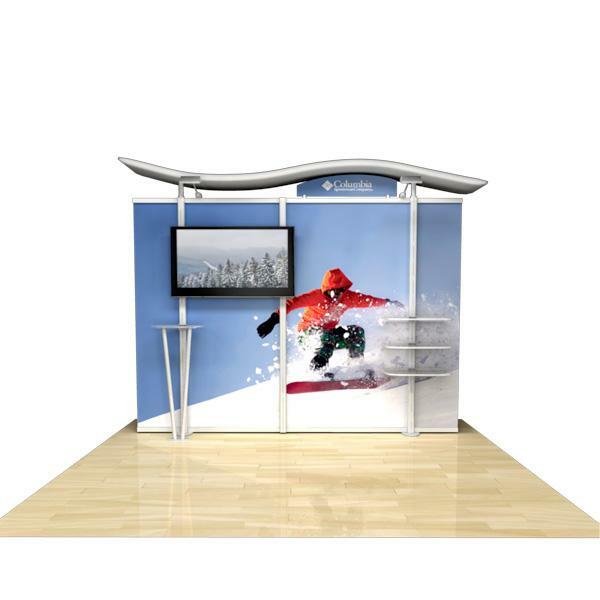 Newer methods of production have now put fabric graphics on an even playing field with the more costly methods used in the past and so much lighter in weight and is resistant to damage, it’s becoming the industry favorite. 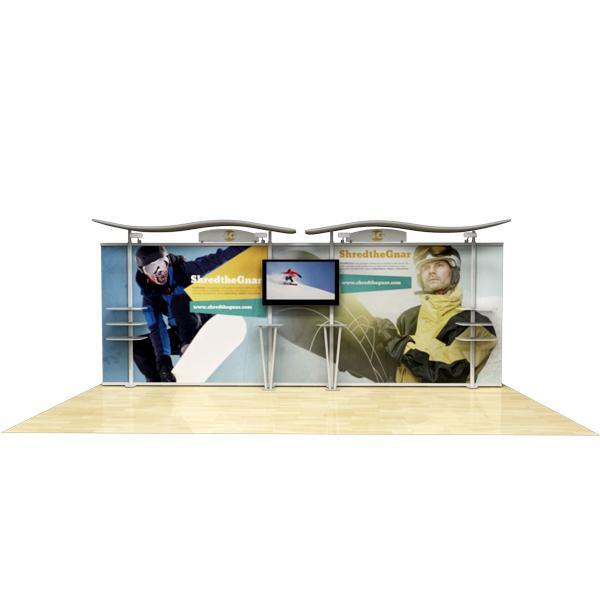 These economy hybrid systems provide your company with a large back wall area to display your trade show graphics. 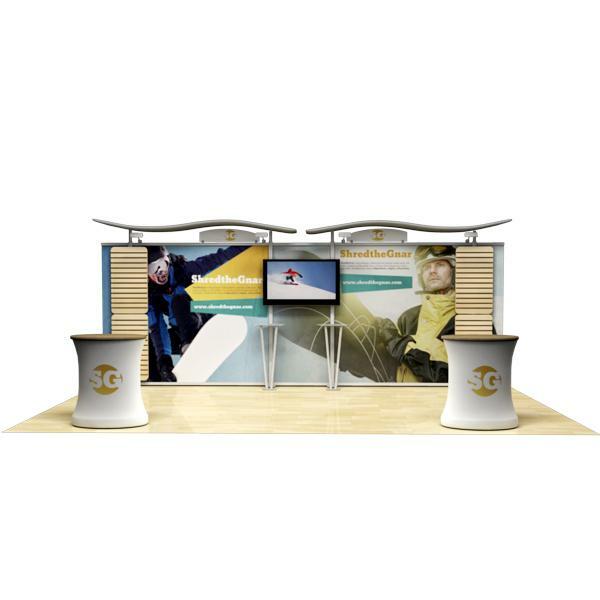 The unique shape of the wings and header pieces will help you stand out at your next conference in NY, VA, DC, MD, Vegas or anywhere in the US. 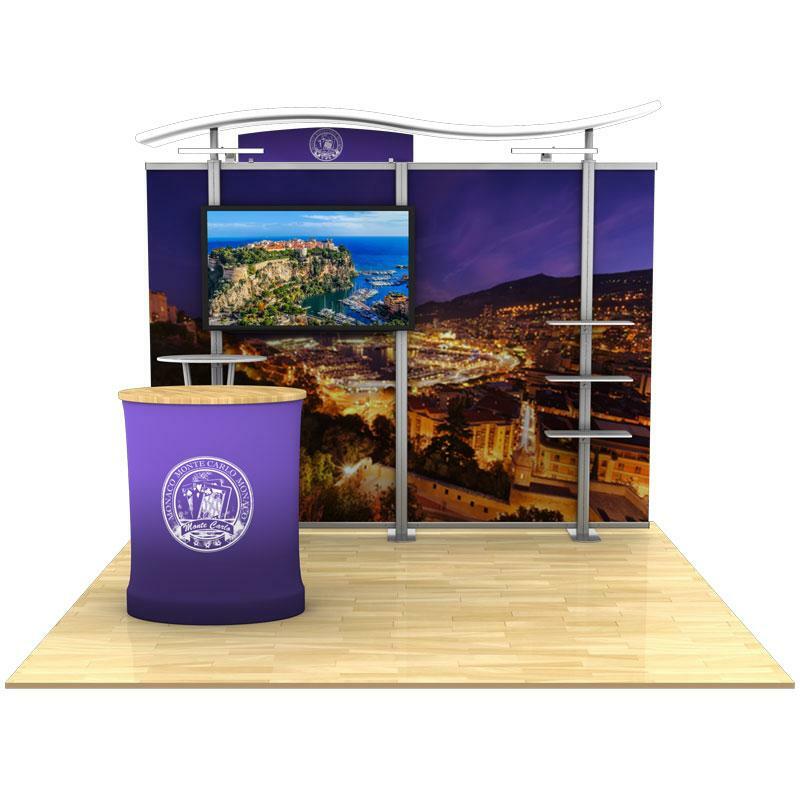 There are many optional accessories that can be added to the booth, and this grouping comes standard with a counter and a monitor mount.